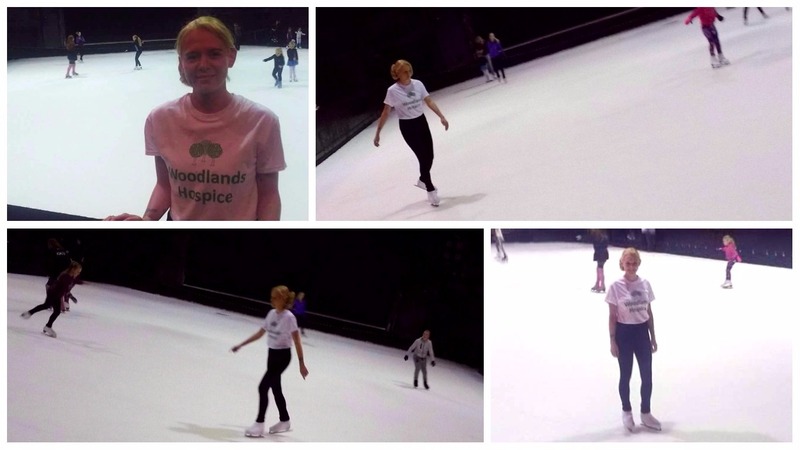 Brave Skater Returns to Ice to take on Challenge for Woodlands! Fifty laps of an Ice Rink would not have fazed Christine Constantine at one time in her life. She first stepped onto the ice at the age of 11 and instantly fell in love. Christine took to it like a pro, and between the age of 11 and 15, she visited the ice rink on a regular basis, finding a hobby she not only loved but was good at. During her mid-teens, Christine sadly lost her Nan, whom she was extremely close to. Through her grief, she lost all interest in her once-loved hobby and stopped skating all together. This was followed by her own personal struggle with her health, after being diagnosed with a chronic stomach condition, and as time went on she lost hope of ever returning to the ice rink. However, Christine was determined not to give up. Having completed challenges, such as Zipwires, for other charities in the past, the now 23-year old skater decided to face her fears and tackle the ice one more time in a sponsored skate! Christine chose to use her challenge to raise money for Woodlands Hospice, in honour of its staff who she feels play a vital role in supporting patients and their families through difficult circumstances. Despite her nerves, Christine clearly hasn’t lost the magic touch and smashed her target achieving the 50 laps in just 20 minutes! Christine has so far managed to raise £220 with donations still coming in. If you would like to donate to Christine’s cause, click here to visit her JustGiving page. A huge thank you to Christine for taking on her challenge for us and we hope this is the start of a new beginning for you on the Ice!